The Eris E5 features a 5.25" Kevlar® low frequency woofer and a 1" silk dome tweeter. It uses Class AB amplification offering 45W to the woofer and 35W to the HF driver. It's frequency response it rated 53Hz —l 22kHz, quite the impressive range for such an affordable monitor. 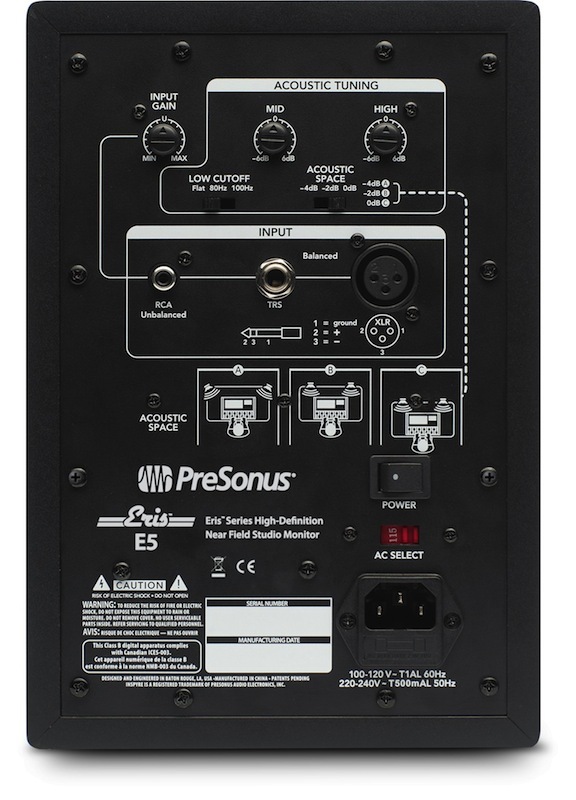 The Eris E5 also includes a full compliment of tone controls for tailoring the speakers to the acoustic needs of your room.